CES 2015 is here, and as usual, the number of product announcements are difficult to keep up with. So, to help make it easier to track our CES coverage, this article constrains all of it to a single page. From mobile to PC hardware, it’s all here. So sit back, read up, and enjoy the barrage of information. Based on the photos available, the P380 looks like a modernized version of the iconic P180. As such, it is designed for quietness, Antec has specified the use of noise- and vibration-dampening high-density polycarbonate material in the side panels for its latest version of the P380 (it’s done the same for the P70 and P50 as well, actually). 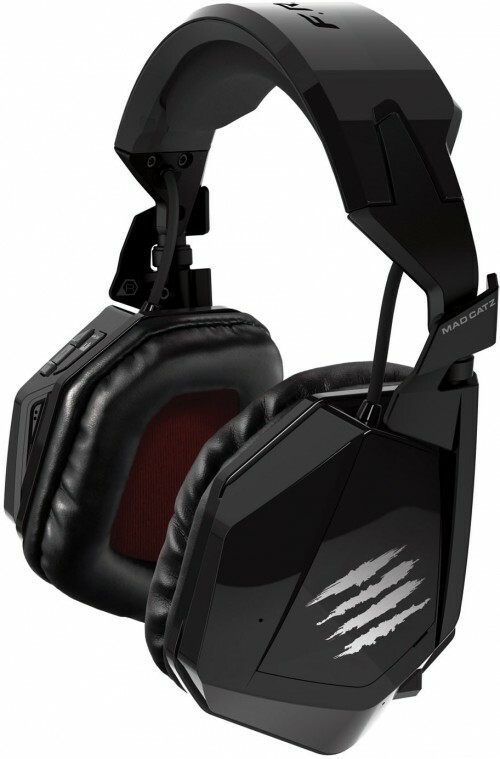 Well, add the good folks at Mad Catz to the list of companies introducing new gear in a group of three. 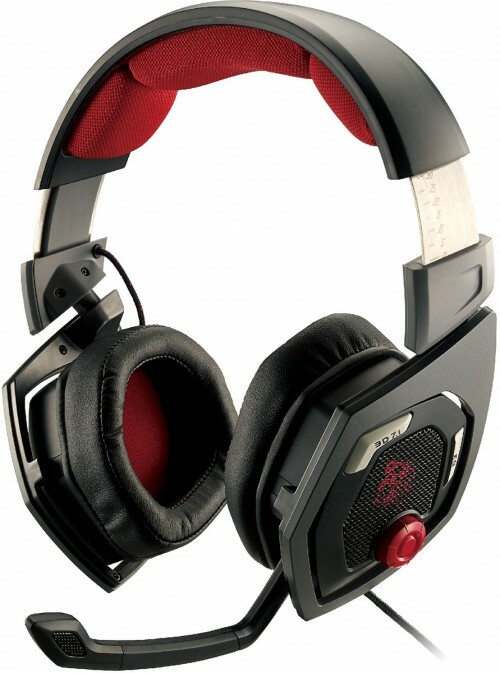 It announced the debuts of the TRITTON Swarm wireless mobile headset, the L.Y.N.X. 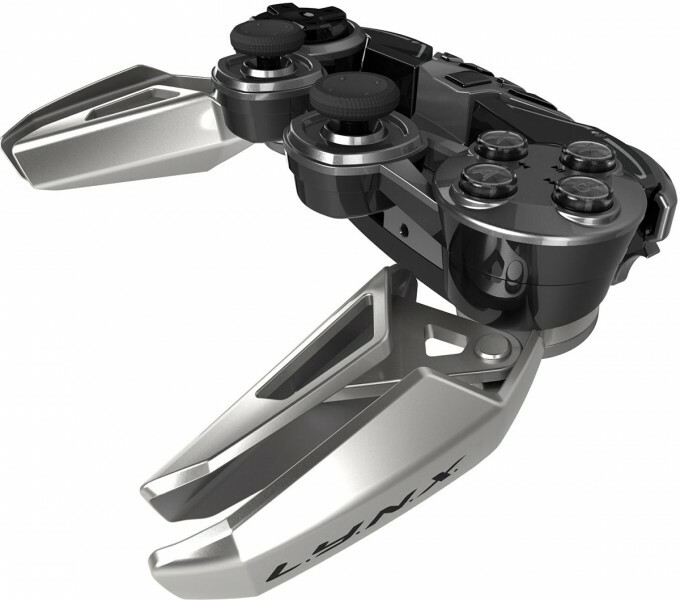 9 mobile hybrid controller, and the R.A.T. ProX gaming mouse. 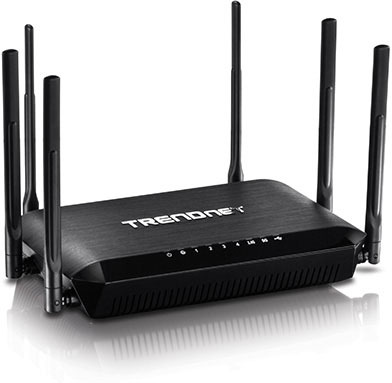 It’s not often that I feel compelled to call a mere router a “monster”, but I think it’s an apt description of TRENDnet’s just-announced “AC3200 Tri Band”. In fact, this router is more like a three-in-one, with two separate AC 1300Mbps radios placed alongside an N 600Mbps one. “AC3200″ = 1300Mbps + 1300Mbps + 600Mbps. Isn’t marketing fun? 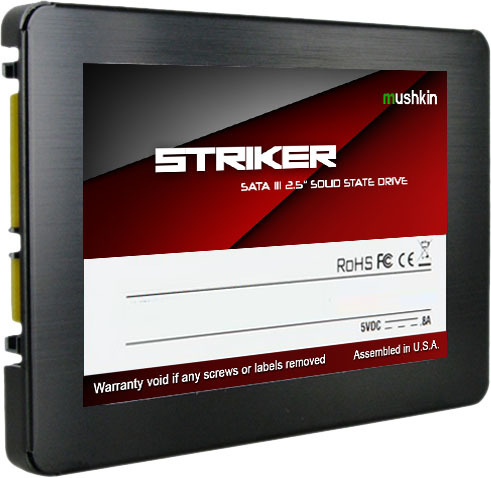 Mushkin has been no stranger to SSDs since the introduction of the Callisto way back in 2010, and once again it looks to be updating its product portfolio. Gone are the days of 2nd Gen SandForce; instead, Mushkin is adopting the new Phison S10 controller. The Phison S10 is a quad-core, 8-channel chip that makes use of MLC NAND and the SATA 3.0 interface. 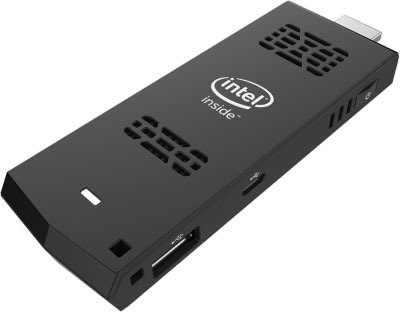 Intel’s new device is not much larger than the USB dongles of devices like Google’s Chromecast or legacy Wi-Fi connectors for many Smart TVs, but it leaves those systems in the dust when it comes to what you can do with it. Rather than being limited to a particular stripped OS, the Compute Stick crams a complete x86 quad-core Bay Trail-based Atom SoC into its tiny frame. It’s not quite the powerhouse of a well-built micro-ATX HTPC, but it can provide a lot more power than anything in the low-power segment to date. 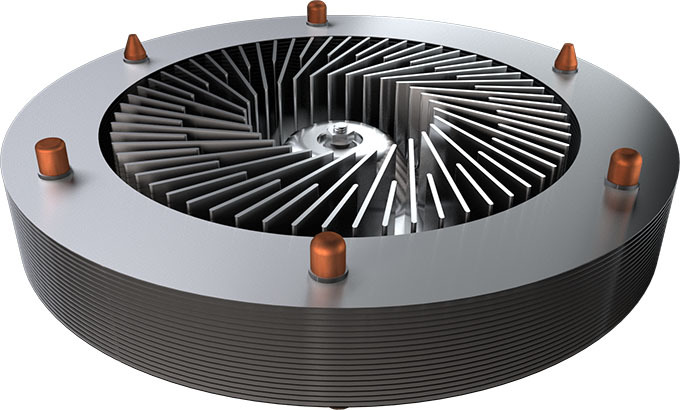 If you think that PC air cooling is an antiquated, inefficient method of keeping temperatures down, you might want to listen to what US-based CoolChip Technologies has in store for the cooling market. 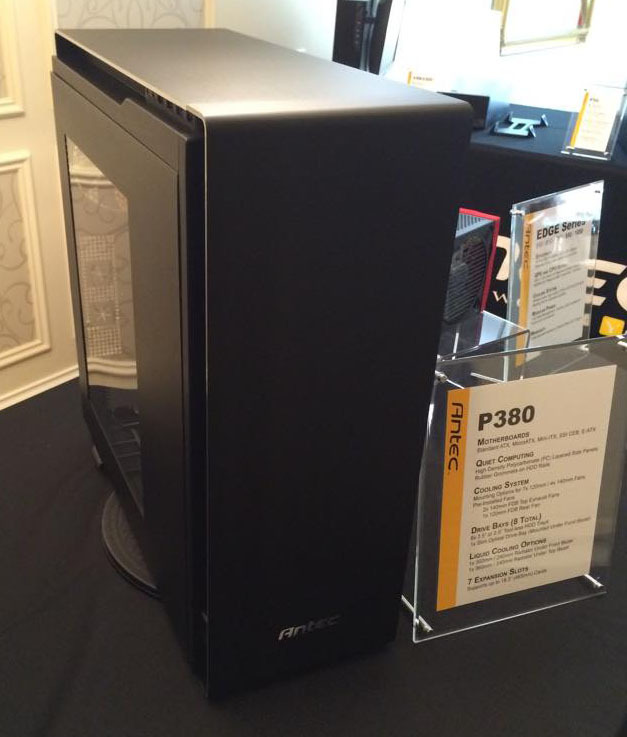 At CES, it is showcasing a prototype of its 1U cooler that uses “Kinetic Cooling Technology”. First up is the MX200, which just so happens to be the consumer variant of the Micron M600 that debuted last September. Like the M600 it features an internal NAND caching system where incoming writes are written to a fast SLC cache, then paged out to regular MLC NAND during idle periods. Such a caching setup is not unusual anymore, though it is more commonly seen with drives utilizing a mix of MLC and TLC NAND. 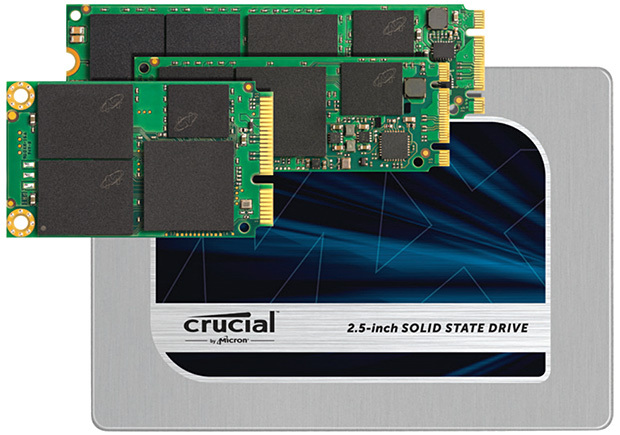 Crucial dubs its version Dynamic Write Acceleration. Up first is the super-fast microSDXC UHS-I Class 3 memory card, which peaks at 90MB/s read, and 80MB/s write. This makes it an ideal solution for those recording really high-def video (like 4K) using products such as the latest GoPro HERO4. 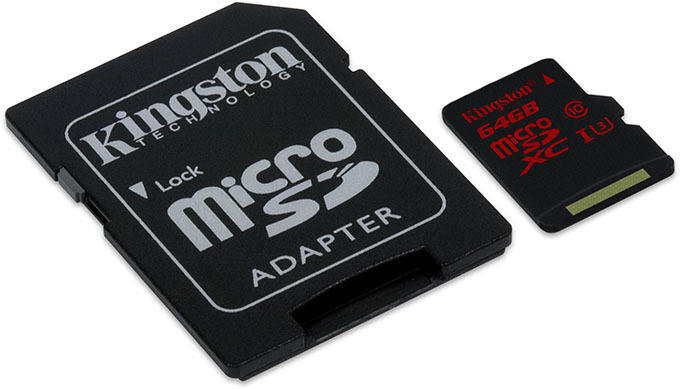 As always, Kingston will be offering these cards as part of a kit that includes an SD card adapter – perfect for those who might want to move their card from one device to another (eg: GoPro to D-SLR). Back in “the day”, as an under-appreciated phone jockey at a local call center, money was pretty tight and I really could have used a chassis like the newly announced Corsair Carbide 100R. 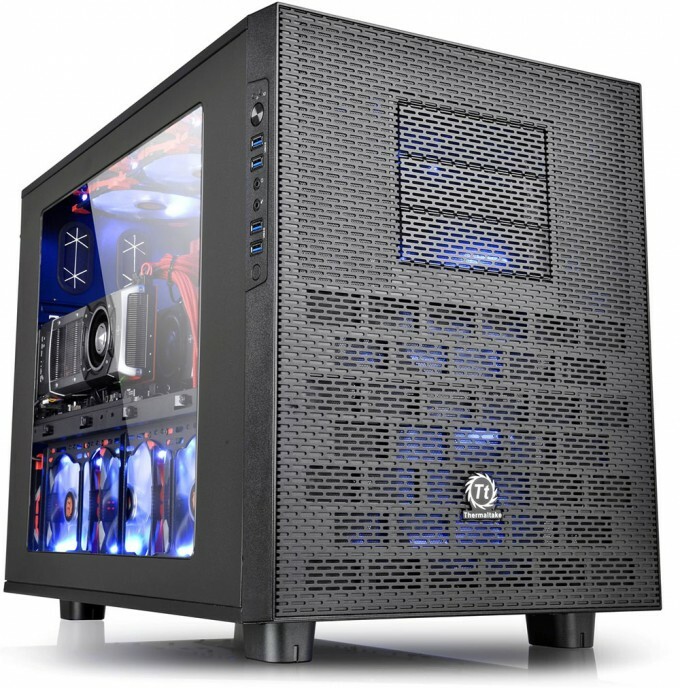 This little wonder has the look and features of a higher-priced Corsair enclosure, but at a price tag that even the tightest of tightwads will approve of. Meet the SM951. It’s an unassuming gumstick SSD, no skulls or anything besides a regular spec label. 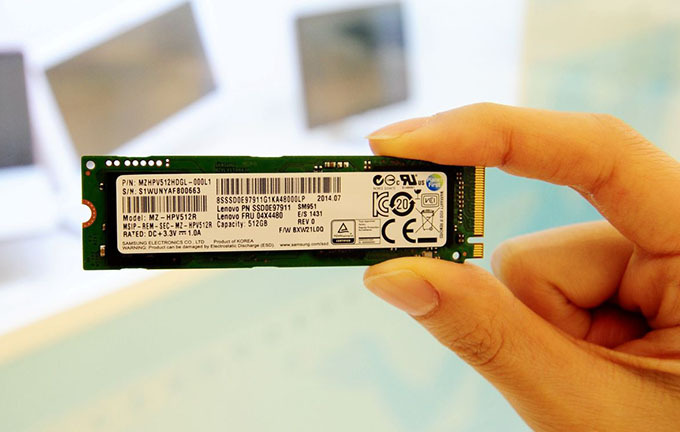 The big news is that the SM951 is an actual 3rd Gen PCie x4 slot SSD, making it the first one to hit the market. So it should be no surprise that Samsung is quoting SATA-cable-melting sequential read speeds of 2,150MB/s and 1,550MB/s for writes. 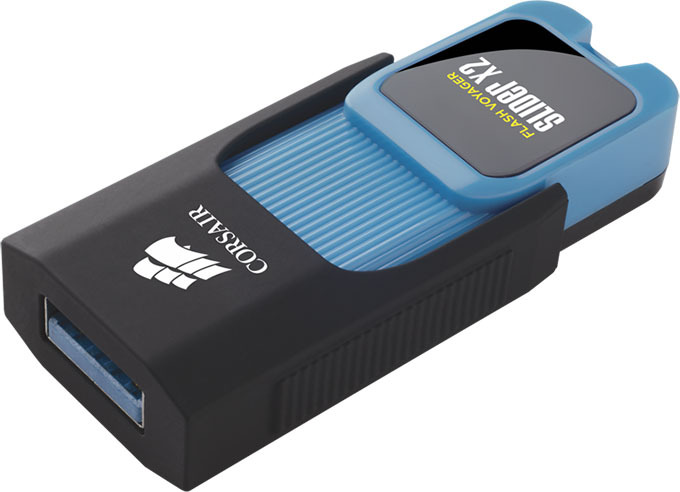 Flash drives might not be the most exciting product category nowadays, but Corsair still manages to intrigue with its latest crop of Voyager drives. This includes a brand-new series it calls Slider X1 and X2, which, as it turns out, is an apt name given its design. 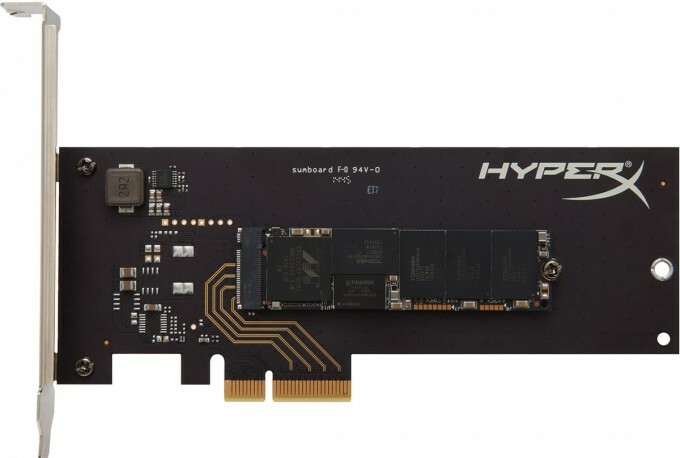 Kingston is showcasing a new addition to the still-fledging discrete PCIe SSD market with the announcement of the HyperX Predator. The Predator is an M.2 drive slotted into a PCIe Gen 2 x4 adapter card for one simple reason, performance. Sequential read speeds are listed as up to 1,400MB/s and writes at 1,000MB/s. This is well above the capabilities of the 600MB/s theoretical max of the SATA 3.0 port or the 800GB/s max of most M.2 ports found on Z97 motherboards. 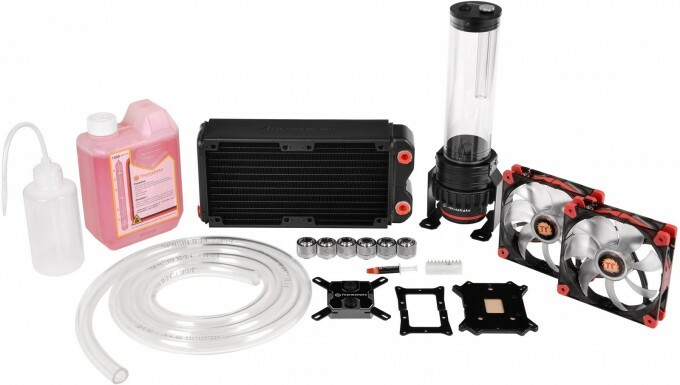 Thermaltake kicked off its CES 2015 activities with something cool by unveiling its new Pacific RL240 water cooling kit yesterday. Well, very hot on the heels of that debut is the announcement of a trio of Core X series cube-style PC chassis optimized for liquid-cooled systems. The Core X1, X2, and X9 are all cube-shaped chassis catering to ITX, mATX, and E-ATX systems, respectively. This CES brings us an even more advanced and efficient cooling setup from Corsair, the all-in-one Hydro Series H110i GT – the company’s most advanced liquid cooler to date. 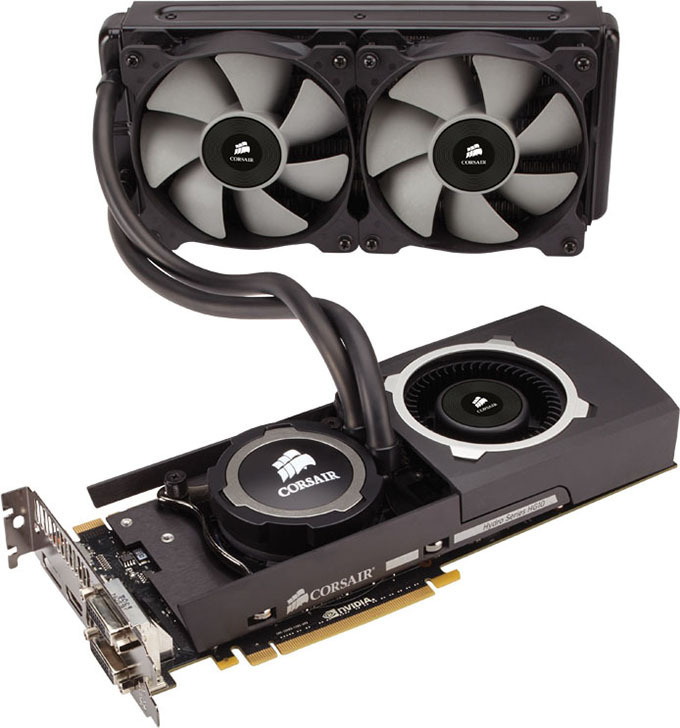 But that is not all – Corsair has also unveiled a new solution for your GPU: the Hydro Series HG10 N780 Edition GPU Cooling Bracket for NVIDIA GeForce 700 Series graphics cards. Thermaltake has opened its CES 2015 activities with introductions of a couple of all-new items as well as an announcement heralding an update to its DPS G App software. Making their first public bows in Las Vegas are the Tt eSports SHOCK 3D 7.1 gaming headset and the THERON Plus+ SMART Mouse. 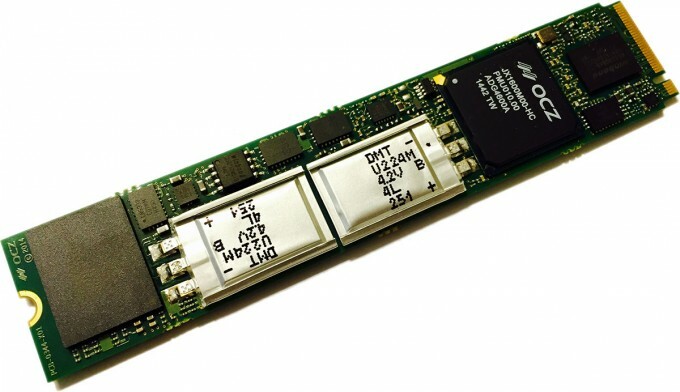 OCZ Storage Solutions is gearing up to debut its new solid-state drive controller, codenamed JetExpress. JetExpress will make the first SSD controller designed in-house by OCZ since its acquisition and major restructuring by Toshiba Group, so it will be intriguing to watch OCZ’s future products that will utilize this controller. One of the biggest perks with powerline adapters returns to this kit: the ease of use. Once each end is plugged into its respective power socket, they’ll connect automatically. In the event you already have some TRENDnet powerline adapters in use, you can exchange the security keys by using the built-in sync button. Not to be outdone by its in-house competitor, Republic of Gamers, ASUS’ Strix sub-brand also has its own trio of gaming-oriented peripherals to announce at CES 2015. Making their debuts are the Strix 7.1 headset, the Claw gaming mouse, and the Tactic Pro mechanical keyboard. What makes this headset really interesting, other than its handsome styling, is the fact it’s the world’s first headset to be wireless, feature surround sound, noise-cancellation, and have a built in microphone – that is a lot of features to be packed into a regular headset, much less a wireless one. 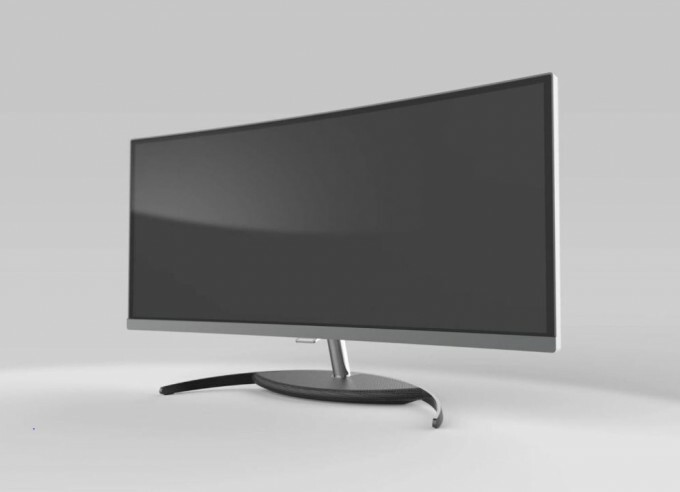 CES just wouldn’t be a CES without a ton of display announcements, and while 4K is still dominating much of the showfloor, “ultra-wide” has moseyed right on in, demanding some immediate attention. Its name doesn’t keep much a secret, but ultra-wide displays aim to blend the benefits of having just one monitor and then having multiple – you’ll gain more desktop real-estate, but without needing a new desk. 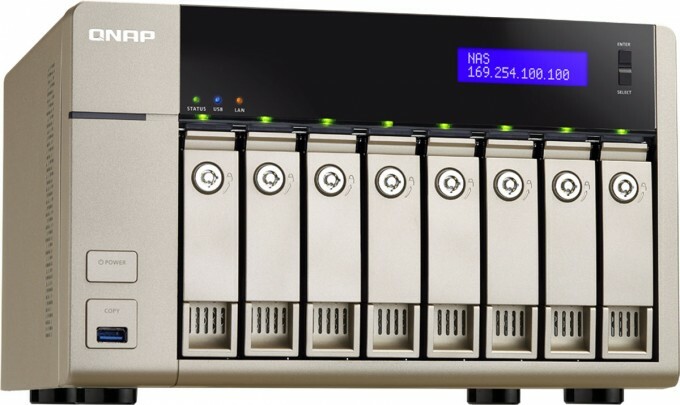 Announced today, QNAP has partnered with AMD to release two new models of NAS devices. Powered by an AMD 64-bit G-Series quad-core CPU, the 4/6/8-bay TVS-x63 and the 10GbE-ready TVS-863+ are the first NAS devices to feature an AMD embedded CPU. 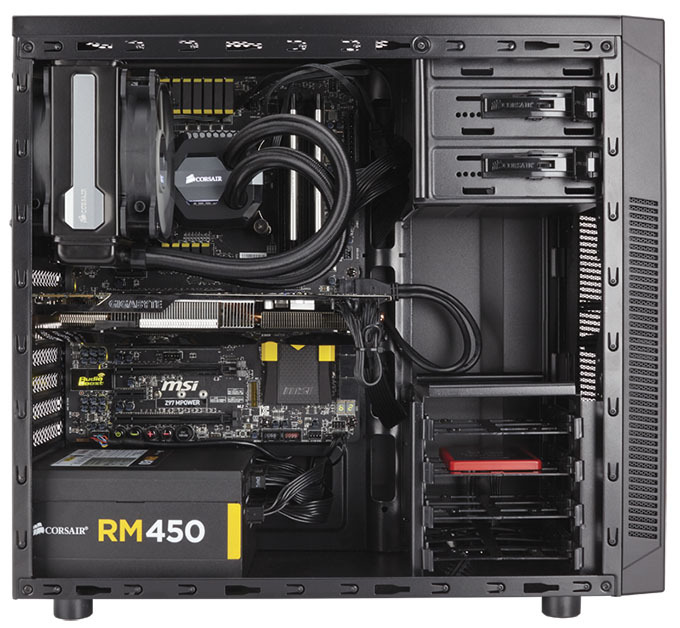 It’s for that reason that Thermaltake’s Pacific RL240, which it teased at last summer’s Computex and again in September, caught my attention. It might still be an AIO solution, but it’s a DIY AIO solution. That makes it perfect for those who want to install a proper water cooling solution in their rig, but not have to source every little component. At that point, it’s about as complicated as picking parts to build a computer, if not more so. Sticking to tradition, ASUS has inundated us with product announcements at this year’s CES, and fortunately for our gaming audience, many products have been designed just for you. 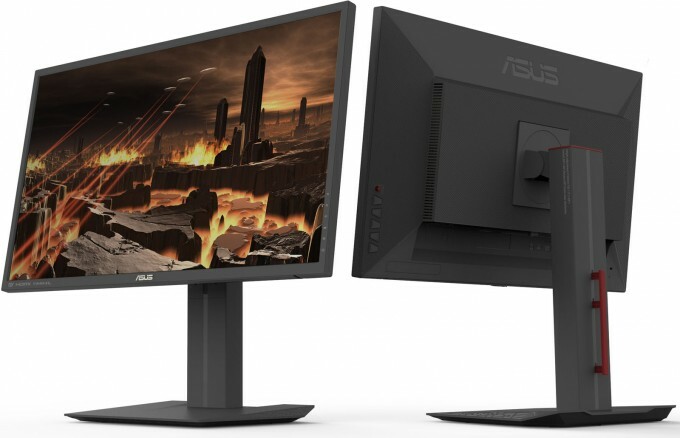 JD has already given his thoughts on ASUS’ latest Republic of Gamers peripherals, so here, I’ll talk about two gaming monitors the company’s showing off. ASUS announced a trio of new gaming peripherals to be released under its Republic of Gamers (ROG) banner at CES 2015. Breaking cover for the first time are two gaming mice, the wireless Spatha and the corded Sica, and an innovative mouse pad called the Whetstone. 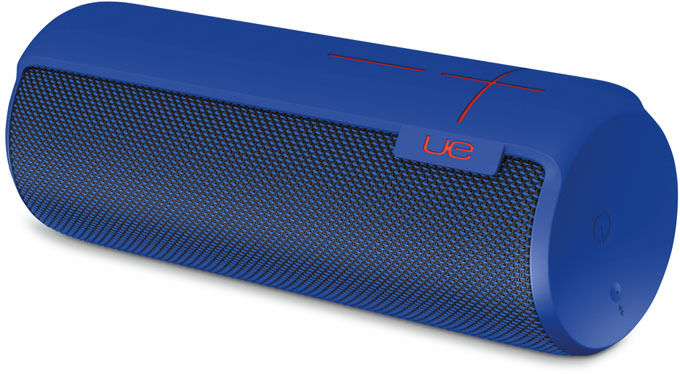 Logitech has decided not to sit on its laurels – along with numerous updates to the original UE BOOM, the company is now introducing a follow-up product in the UE MEGABOOM. The MEGABOOM follows the same design of its predecessor, but sports the refinement of a couple of years of hardware improvements including 100 feet of Bluetooth range, 20 hours (!?!) of battery life, and a newly redesigned waterproof (IPX7 certified) skin. SanDisk is starting CES 2015 by announcing two new models in its SSD lineup. 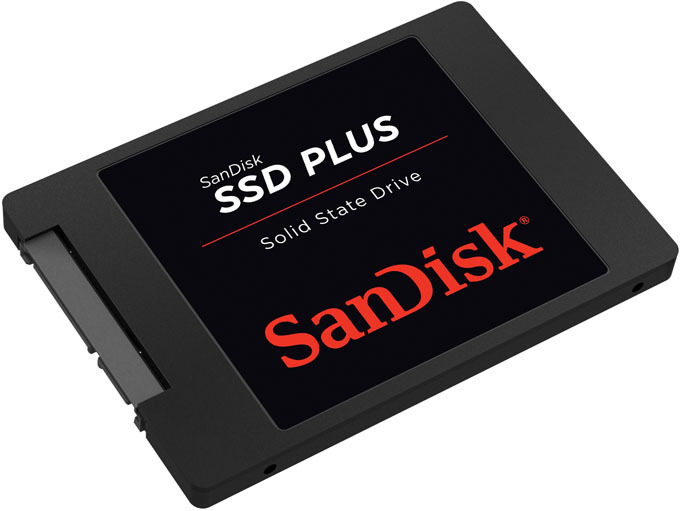 The SanDisk “SSD Plus” will be a 2.5” entry-level drive geared for consumers looking to enter the solid-state drive market on a budget, while the Ultra II mSATA SSD takes the popular Ultra II brand and gives it a new form-factor. We’ve had a good number of mobile hard drives cross our path over the years, and I can honestly say that I don’t ever remember being “wowed” by one for looking so aesthetically pleasing. It’s just a mobile drive, right? Well, Seagate wants to make an exception. 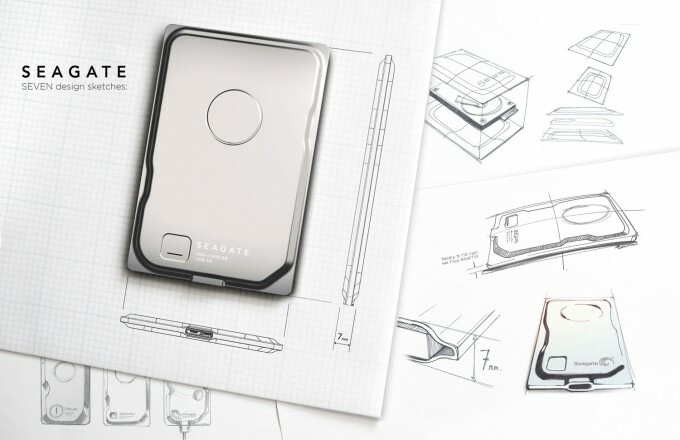 If it were commonplace for socialites to tote around mobile hard drives, the latest hotness would be Seagate’s ‘Seven’. 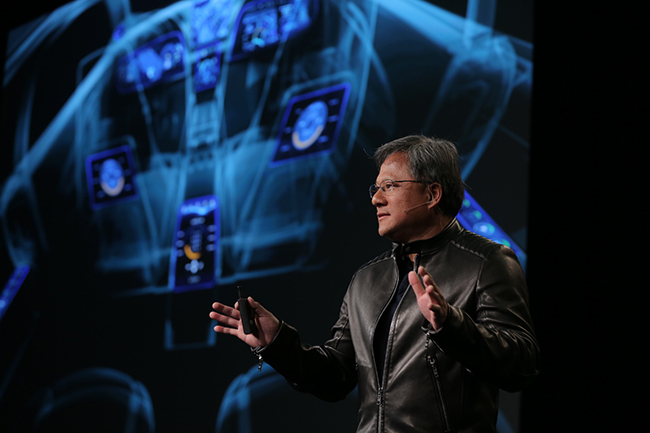 At its annual CES keynote, NVIDIA’s Jen-Hsun Huang announced his company’s next-generation Tegra mobile processor, “X1″. 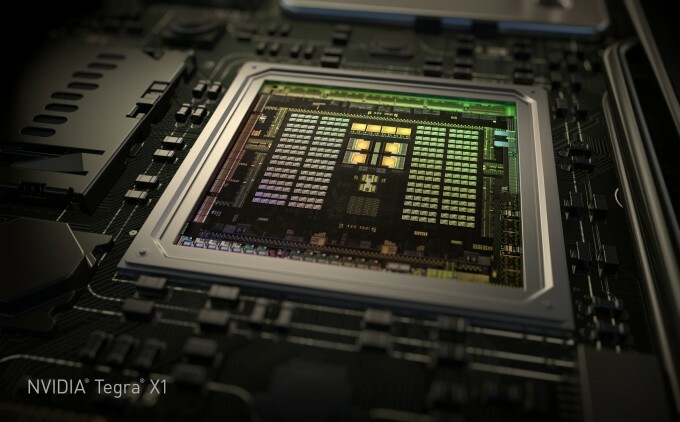 The X in its name refers to Maxwell, the latest architecture to power NVIDIA’s desktop GPUs, including the GeForce GTX 980 and 970.